What can health systems do to encourage physicians to embrace virtual care? ​With changing health care reimbursement models, growing consumer demand, and advances in digital technologies, virtual care is a must-have for health systems. But how can hospitals and health systems gain physician buy-in? It might be easier than you think. Lack of reimbursement, complex licensing requirements,1 and the high cost of the technologies2 have contributed to slow adoption. Reliability and security are also issues: We found that physicians are concerned about medical errors (36 percent) and data security and privacy (33 percent). Virtual care is not new. A subset of virtual care—telemedicine and telehealth—refers to the use of telecommunication devices to transmit medical and health information.3 Virtual care is the integration of telehealth into mainstream care delivery to complement or even substitute traditional care delivery. It involves the convergence of digital media, health technology, and mobile devices, and leverages additional modalities—such as text messaging, digital voice assistants, and decision support tools powered by artificial intelligence and augmented/virtual reality—to create a continuous connection between patients, physicians, and other caregivers. Many believe that widespread adoption of virtual care might not be possible until value-based payment models take hold:4 By improving care coordination and prevention, virtual care may decrease the use of expensive emergency department and hospital services—a financial benefit under value-based payment models, but not under fee-for-service. The 2018 Deloitte Survey of US Physicians is a national survey of 624 US primary care and specialty physicians. The survey is representative of the American Medical Association Masterfile with respect to years in practice, gender, geography, practice type, and specialty, so as to reflect the national distribution of US physicians. The results show that consumers and physicians both agree on the value of virtual care, but while consumers are eager to adopt it, many physicians have reservations. At the same time, our results indicate that getting the buy-in from physicians may not be difficult given the fact that most physicians who have used virtual care tools feel good about them. And a changing reimbursement landscape and advancing technology are also likely to compel wider adoption of virtual care. Our survey results show that nine in 10 physicians see the benefits of virtual care, especially with regard to patient experience: Access to care, patient satisfaction, and improved communication with the care team are the main benefits (see figure 1). Many consumers echo these views. Multiple studies show improved access to care and high satisfaction among consumers receiving virtual care.6 In the Deloitte 2018 Survey of US Health Care Consumers, 64 percent of consumers cite convenience and access as important benefits. It is also apparent that consumers not only use virtual care more than physicians offer it, they are also more interested in using it in the future: 23 percent of consumers have used video visits and 57 percent of consumers who have not done so yet are willing to try them out in the future. Consumers from younger generations are likelier than older ones to use and be interested in virtual care: 42 percent of millennials have had video visits and 68 percent of those who have not say they would do so in the future. Despite the benefits of virtual care technologies, current levels of implementation are low. Forty-four percent of surveyed physicians have not implemented any of the seven virtual care technologies presented in the survey. The technology implemented most so far is email/patient portal consultations (38 percent), followed by physician-to-physician electronic consultations (17 percent), and virtual/video visits (14 percent). For the remaining four of the seven technologies in the survey—remote care management and coaching, remote patient monitoring at home, remote patient monitoring at other facilities, and integration of wearables—reported adoption is in single digits. Another finding from our survey is that primary care physicians are likelier to have implemented virtual care technologies than specialists. For instance, 48 percent of primary care physicians implemented portals vs. 34 percent of specialists; 17 percent implemented video visits vs. 13 percent of specialists; 11 percent implemented remote care management and coaching vs. 6 percent of specialists; and 9 percent have integrated wearables data vs. 3 percent of specialists. When it comes to usage, email/patient portal consultations are used most often. Among physicians who have implemented portals, 64 percent use them regularly (once a week or more) (see figure 2). Portal use is higher among primary care physicians (74 percent) than among specialists (57 percent). Two in five physicians (43 percent) with access to electronic consultations with colleagues use them at least once a week, whereas just a third (32 percent) regularly use the video visit technology available to them. Physicians employed or affiliated with hospitals or health systems (62 percent) are more likely than independent physicians (49 percent) to have implemented at least one of the seven virtual care technologies, according to the survey results. Several factors may explain this difference: capital requirements, different strategic priorities, and a greater proportion of independents being exempt from meaningful use requirements. Our study results indicate that physicians consider chronic condition management the most promising use of virtual care technologies. All seven technologies tested in the survey can be useful for the treatment of chronic conditions in physicians’ view, particularly remote patient monitoring at home (70 percent), email/patient portal consultations (67 percent), integration of data from wearables (67 percent), and remote care management and coaching (65 percent) (see figure 3). Once again, primary care physicians are more likely than specialists—by a margin of 8–19 percentage points—to consider these four technologies useful in this application. Additionally, physicians find most of the seven technologies presented in the survey useful for follow-up appointments, specifically email/patient portal consultations (58 percent), virtual/video visits (58 percent) integration of wearables (48 percent), remote care management and coaching (45 percent), and remote patient monitoring at home (42 percent). Although direct-to-consumer telemedicine companies use video visits primarily for acute nonemergency conditions, physicians in our survey do not consider this the most useful application of video visits. Just 35 percent of physicians support such use. Several factors have hampered the widespread adoption of virtual care, and even though the market landscape is becoming increasingly supportive, organizations interested in implementing virtual care programs should pay close attention to reimbursement, licensing and credentialing, and cost of the technology. In our survey, physicians cite pragmatic factors as challenges to adopting virtual care technologies more often than issues that may signal cultural objections. For instance, lack of access to the technology (35 percent) and security and privacy of patient data (33 percent) are bigger barriers than lack of interest from patients (23 percent) and physicians and staff (8 percent) (see figure 4). Nonetheless, organizations should be prepared to address both pragmatic and cultural concerns. Concerns about medical errors, voiced by 36 percent of physicians, can be a mix of practical and cultural considerations. Certainly, evidence is needed to demonstrate that virtual care is at least on par with traditional care in diagnostic and treatment accuracy. But medical errors could also stem from breakdowns in communication, and in the case of a new technology, physicians are likely to attribute such breakdowns to the unreliability of the technology. Our survey data suggests that experience with new technologies may help overcome some of the skepticism: Physicians who have implemented at least one virtual care technology (33 percent) are somewhat less likely to voice concerns about medical errors than physicians who have not (41 percent). Some organizations with experience in virtual care technologies have found it important to anticipate and address cultural resistance from frontline staff. Lack of familiarity with the equipment and software, disruptions to the established workflow, skepticism about new approaches, and changing roles and responsibilities may underlie their reluctance to embrace new approaches. Our survey results suggest that the intent to use technologies in the future is strongly predicated on current adoption. Physicians who have implemented at least one of the seven technologies presented in the survey are also more likely to see benefits to virtual care technologies and to consider them useful in different applications. More than half of the physicians (58–69 percent) whose organizations have adopted virtual care technologies expect to increase use in the next year or two. In contrast, a much smaller proportion of physicians whose organizations have not adopted virtual care technologies plan to begin using them (15–33 percent) (see figure 5). Our view is that with a changing landscape that favors value-based payment models, growing consumer demand, and advances in digital technologies, virtual care is no longer just a nice-to-have but a must-have for physicians. And the time for health systems to consider developing virtual care strategies is now. It might help to think of virtual care more broadly than just interactions between patients and clinicians facilitated by technology. A comprehensive virtual health approach can enable organizations to engage with patients and customers virtually throughout their journey of health. This encompasses virtual care interactions (such as video visits, remote monitoring, or virtual consultations with peers); wellness, preventive services, and care coordination with patients; as well as encounters with prospective customers. As organizations consider their virtual care options, we recommend an enterprisewide approach that begins with asking the right questions (see figure 6). In answering these questions, organizations should consider engaging clinical and business leaders and frontline clinicians, define short- and medium-term goals, plan for the requisite infrastructure, and redesign care models. As they move from planning to execution, we offer a few tactical considerations on overcoming physician reservations about virtual care. Align clinicians and staff across the organization to support and advance virtual care offerings with a focus on improving quality, patient experience, and cost-effectiveness. Communicating the need for adopting virtual care and getting clinicians on board should happen early. Clinical champions can play a key role and serve as liaisons between frontline clinicians and business and clinical leaders.11 Organizations have found that real patient stories about the time and effort virtual care can save patients and caregivers, or behavior changes resulting from observations that could only be captured during a virtual encounter, can be more powerful than raw data alone.12 Adding such stories could help build a compelling business case for clinicians on the frontlines and in leadership. Additionally, changes may be needed to help ensure that the existing compensation models do not penalize physicians for using virtual care instead of in-person visits. For instance, some organizations have replaced relative-value units with a panel-size approach for primary care physicians and have added new consultations as a performance metric for specialists.16 Treating virtual care encounters as equivalent to in-person ones and having the necessary staff support (IT, nursing) can reinforce the notion that virtual care is not just another fad or administrative requirement but a new way of operating. Create the infrastructure to support the vision. Building upon lessons from EHR implementation, many organizations realize that integrated systems, processes, and technology infrastructure should be in place to support the requirements and vision for a virtual health program. In our survey, interoperability of virtual care technologies (67 percent) is the number one requirement for increased adoption (see figure 7). Considering recent EHR experience, physicians’ patience is growing thin for new technologies that overpromise and underdeliver, leaving little room for execution errors. Furthermore, organizations may find that they need an entirely new system to support virtual care. For instance, Advocate Health Care realized that its existing EHR systems did not enable longitudinal data collection and analysis for its tele-ICU program.17 They chose to build a new system in house. For organizations today, options include buy, rent, build, or hybrid, and each of these paths can have important future implications and risks involving system compatibility and obsolescence, cybersecurity, or dependence on a vendor. Enable workflow, clinical process design, and integration. Organizations can achieve this by having clinical experts weigh in on clinical process design, workflow, and overall program integration to derive the most seamless integration of and benefits from a virtual care program. In our survey, none of the four workflow-related items rise to the top of surveyed physicians’ recommendations for necessary support, in part because specific workflow conditions vary across organizations. The ability to move from a virtual visit to a physical visit in a timely fashion is the most desired workflow feature (37 percent), followed by improved wireless capability (28 percent), a conducive workspace configuration (26 percent), and a general recommendation for appropriately designed workflow (25 percent) (see figure 6). As in other aspects of our lives, technology is becoming an integral part of the practice of medicine. Virtual care capabilities can help physicians meet ever-increasing demands on their time and skill: caring for more patients, dealing with rising clinical complexity, and supporting patients in playing a greater role in their own care. Organizations committed to delivering connected, coordinated care are unlikely to achieve this without developing virtual health capabilities. If they fail to act now, they may risk losing significant market share as customers seek other solutions to meet their health care needs. Starting with an end in mind can help ensure that the chosen virtual health approaches and capabilities align with long-term vision and fiscal goals. By focusing on return on investment and value of investment, organizations can develop a comprehensive vision, define goals, prioritize and sequence virtual care investments, and decide how to measure success. 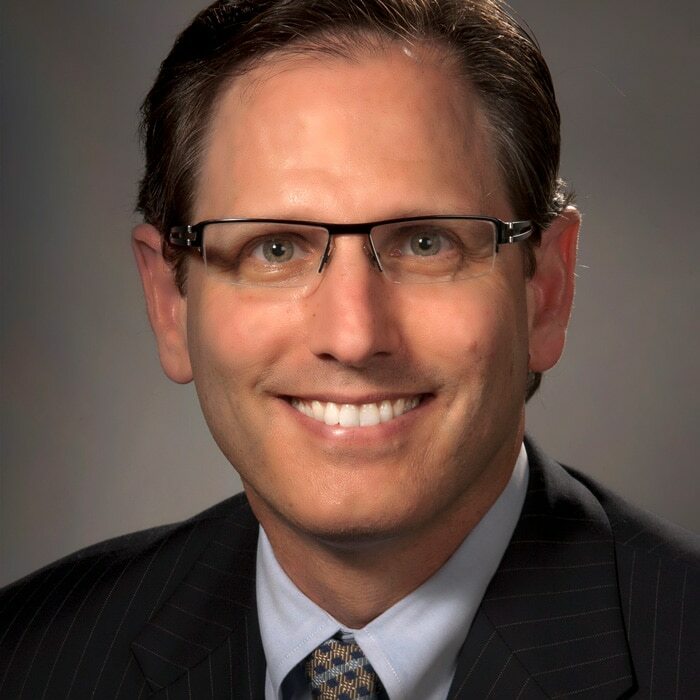 Dr. Ken Abrams is a managing director in Deloitte’s Strategy practice and is Deloitte’s Life Science and Health Care national physician executive. He is based in Naples, FL. 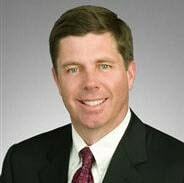 Steve Burrill is the vice chairman and national sector leader for Deloitte’s Health Care Providers practice. He is based in Houston. 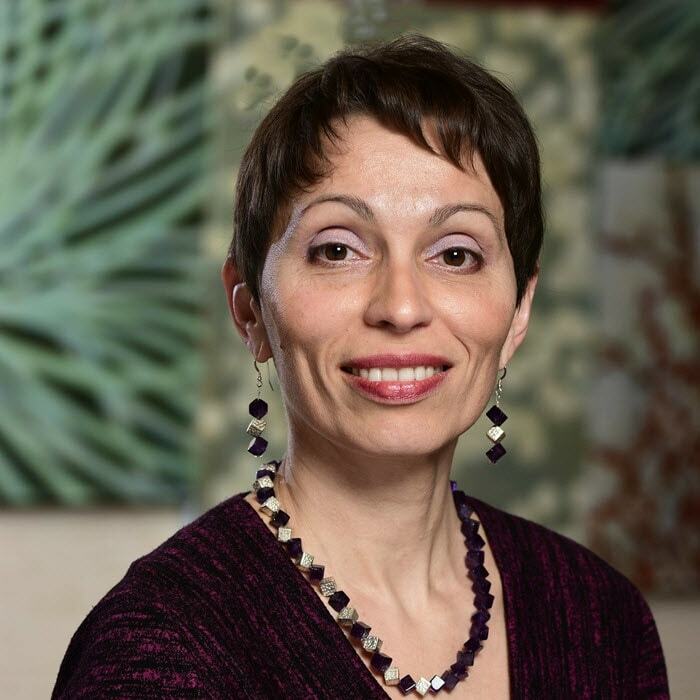 Natasha Elsner is a research manager with the Deloitte Center for Health Solutions. She is based in Philadelphia. Randy Gordon advised the research and interpretation of the results, drawing on his extensive client experience. Wendy Gerhardt kickstarted the project and guided research design and elements of execution. Kiran Jyothi Vipparthi supported research design, data analysis, and secondary literature review. Christine Chang helped with writing and editing the report. Erica Cischke contributed to survey design, project management, and interpretation of the findings. The authors would like to thank Alexis Concordia, Urvi Shah, Sean Wright, Raj Mehta, Amy Kroll, Michelle Fleming, Casey Korba, Leslie Korenda, and Michelle Fleming for their expertise, support, and guidance. The authors would also like to thank Samantha Gordon, Amy Hoffmaster, Priyanshi Durbha, Carolyn Hull, Rose Meltzer, Jessica McCann, Wendell Miranda, Ramani Moses, Bushra Naaz, Ben Shuham, Sarah Thomas, Lauren Wallace, and the many others who contributed their ideas and insights to this project. What can health systems do to encourage physicians to embrace virtual care? has been added to your bookmarks. What can health systems do to encourage physicians to embrace virtual care? has been removed from your bookmarks.